Life After Life by Kate Atkinson is set during one of my favourite periods for fiction, the early 20th century. Beginning with the birth of its protagonist, Ursula Todd, in 1910, it follows the fortunes of Ursula and her large, frequently eccentric family through two world wars. However, what makes Life After Life different is that we don't just see one version of Ursula's life, but many. Ursula lives and dies countless times throughout the novel, her fate - and often those of her friends and family - turning on the smallest of decisions and chance occurrences. At times, Ursula seems to be subconsciously aware of her multiple lives - she's referred to a psychiatrist as a child for her 'deja-vu' and her compulsion to intervene when has a strong feeling that things are about to go wrong. Are her lives entirely separate from one another, or is one set of experiences being layered on to her previous pasts, like an oil painting on a pre-used canvas? Certainly her psychiatrist suggests that life is 'a palimpsest', constantly wiped and overwritten. Much has been said about the intriguing structure of Life After Life, and of course, there is a degree to which it dominates the novel - a lot of the narrative tension comes, of course, from wondering how long Ursula will survive after each rebirth. However, the book is much more than a single concept. It's a powerful chronicle of the first half of the last century, encompassing the First and Second World Wars and the unsettled years in between. The Todd family, who have a large country house but apparently ever-decreasing funds, are in themselves a portrait of post-Edwardian social and economic developments that changed the face of Britain (in particular, gradual shifts in the class and gender divides) and brought to mind elements of Sadie Jones' The Uninvited Guests and AS Byatt's The Children's Book, both of which are also great favourites of mine. Ursula's family are entertaining and infuriating by turns, and are shown in different lights in each of Ursula's lives - her mother Sylvie, for instance, comes across as a loveably eccentric maternal figure at certain times, but is cold and even spiteful at others. Flighty, scandalous Aunt Izzie - naturally the first of the family to cut her hair into a bob in the 1920s - is often capricious and selfish, but is also Ursula's saviour on more than one occasion. By the end of the book, I felt well acquainted with every one of them; Kate Atkinson is a master craftsperson when it comes to character. The more I read of Life After Life, the more I found myself trying to decide which of Ursula's lives, if any, was the 'right' one. Her stints as an ARP warden during the Blitz are particularly harrowing, and so it seems fitting that in another life she has the chance to stop the war from happening at all - yet her final act is one of self-sacrifice, and it appears that this life isn't her 'last' one, either. Is there a reason for Ursula's constant reincarnation into the same body, or will she simply go on forever, living an infinite number of times? 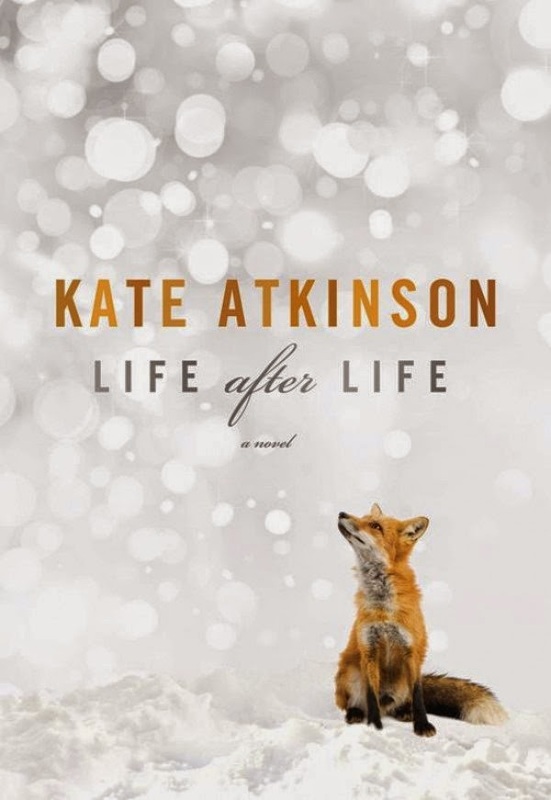 Life After Life is often incredibly sad (I cried at least once) but Kate Atkinson remains an exceptionally witty writer who excels at sharp, observant humour, so much so that there are genuine laugh-out-loud moments. I can't say I didn't find this book slightly exhausting at times - its structure makes it something of a rollercoaster ride - but I'd certainly put it with the very best books I've read this year.